Are you going to buy Learn and Master Blues Guitar? Before you go, read the Pros & Cons, user reviews first. What You Get: * 6 full produced, clearly explained and demonstrated DVDs* 1 Jam-Along and Interview DVD & 1 Jam Along CD with over 20 songs* Downloadable book & access to their online support community. If you’re looking to make your guitar sing and weep like B.B. King, or if you just want to shuffle along to some cool blues riffs in the privacy of your room, Legacy Learning Systems have another addition to the Learn and Master series that may be for you. Learn and Master Blues Guitar comes with six lesson DVDs and an additional jam-along DVD. As well as this, you can download a workbook, and get access to the fantastic online support community. The DVDs contain the valuable lessons from instructor Steve Krenz, a professional studio musician who’s worked with Grammy-winning artists such as Donna Summer and Israel Houghton, and who is also the man behind the award-winning Learn And Master Guitar. Each lesson starts with a clear and complete description of the concepts under-pinning it’s content. In this way, as you work on new licks and riffs, you will naturally gain a clear understanding of the musical theory behind it. As well as this, there are lessons on developing your musical ear, which is a key factor in jamming along with other musicians, and is integral to the blues. This is supplemented by the Jam-Along DVD, which allows you to play along with other musicians (live recordings, as well; no computerized nonsense). Although the lessons are obviously the backbone, this jamming orientation really brings Learn and Master Blues Guitar into it’s own. With this and fantastically structured lessons, getting to grips with the blues shouldn’t take you too long, and you’ll be happily jamming along with the DVD in no time. To take it further, Learn and Master Blues Guitar includes interviews with blues pros Jack Pearson (who’s played with the Allman Brothers Band and Jimmy Buffet) and Johnny Hiland (played with Hank Williams III and Steve Vai). These are more like private lessons than interviews, and they happily delve into the tricks of the trade so you can take your playing to the next level. For some reason, in this package, the booklet is only available via download, which may be an inconvenience to anyone who prefers a hard copy. This is more of a negative when you consider it along with the price; for $99, you would at least expect a printed copy. The course also assumes some knowledge and playing ability, and as such, whilst a beginner could pick up the instrument from this package alone, they may be best advised to choose a more generalised course. The positives clearly outweigh the negatives. Any critique that could possibly be levied in the direction of Learn and Master Blues Guitar is inevitably nit-picking. Expertly created, easy to understand, and comprehensive, it entirely lives up to the title. The course, truly provides complete guidance for the budding blues guitarist, and if there is anything you struggle with, you have a community forum full of people who’ve had the same trouble, along with occasional posts from Steve Krenz himself. Given that you have at least a basic knowledge of the instrument, the course is all you need to turn yourself into a blues master. * Learn & Master Blues Guitar Costs Only $99 now. 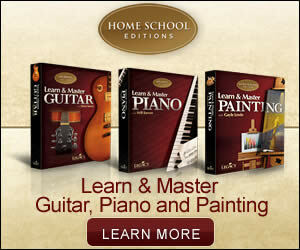 * LearnAndMasterBluesGuitar comes with a 60 Day No Question Asked Guarantee. If you are not satisfactory with the course, simply return the course within 60 days for a full refund of the purchase price. * Learn & Master Blues Guitar is available from Legacy Learning System’s official website, meaning you can only order it through the internet. And their official site is the only place where you can order this course. Then you’ll wait for days for the delivery of the DVDs. * Live outside the United States? No problem! Learn And Master Blues Guitar ships internationally every day and have become very proficient at it. In most cases, it only takes a few extra days for delivery. You get the same sixty-day, no-questions-asked, money-back guarantee as their U.S. customers, the same great service, and the same great blues guitar training.